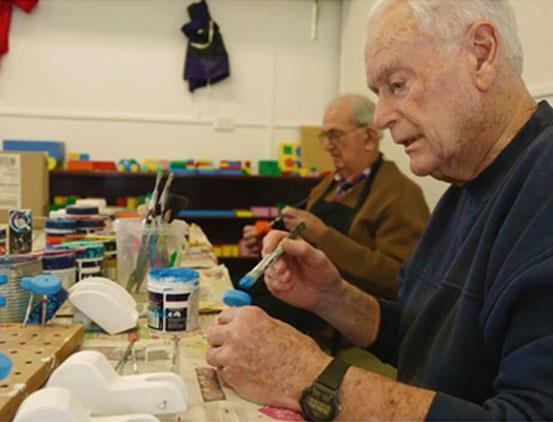 South Australia’s largest, annual arts and community festival for older South Australians, the COTA SA (Council on the Ageing South Australia) Every Generation Festival, kicks off this weekend with a festival fete in Adelaide’s Botanical Garden. "The festival celebrates positive ageing and demonstrates that the myriad of contributions made by all older South Australians are valuable, welcomed and essential,” says Every Generation Festival Coordinator Jane Intini. Now in its 49th year, the Festival program is packed with over 270 exciting events and activities, thought-provoking discussions and household names, bringing older and younger Australians together to celebrate age and cultural diversity. Journalist, author and international media identity George Negus will talk about ‘Modern Ageing & The Media' in conversation with Five AA announcer and The Advertiser columnist David Penberthy on 19 October while the world premiere performance of ‘It Ain't Easy Being Elvis' featuring Andy Seymour debuts at the Norwood Concert Hall on 22 October. On 18 October, Laura Cassai (Master Chef Runner-up, 2014), Salvatore Pepe (co-founder of Cibo) and host Rosa Matto (leading cooking teacher & food writer) will discuss and recreate their favourite Italian dishes on stage. Communities around the state are joining in the celebrations with events varying from come and try pottery, art, martial arts lessons and walks, to train rides in Moonta, dolphin cruises, concerts and belly dancing! There are also some practical events such as sugar and gluten free cooking and giving tips and advice for moving house. Some events are on a more personal level; City of West Torrens is honouring the contributions its local nonagenarian and centenarians made to the community by hosting a special lunch for them. Over the past few weeks, staff have worked with 14 City of West Torrens residents all aged 97 or older recording some of their life experiences – one recalls cycling to the Riverland to look for work in the Depression while another flew Catalinas in WWII. The COTA SA Every Generation Festival is held from 15 to 28 October 2016.